A new residential development in the heart of Paarl has chosen the Cobute R.C. precast shutters for slabs, edge ribs and stairs for the structure. Designed by Consulting Engineer Studio FRAME , the project consists of four new double-storey dwellings, each of 100 sqm with central access and pristine mountain views. The two-storey residential units have been designed with all the comforts, with a bright living area and kitchen on the bottom floors, as well as spacious bedrooms and bathrooms on the first floor. First-floor soffit made with the Cobute precast ribs and panels. The precast slab designed by Cobute consists of three elements: precast ribs, precast panels and polystyrene blocks, which are delivered to site in a standard width of 380mm, with varying length and thickness according to specifications. The lattice ribs come in a standard width, while the height of the lattice varies according to the slab thickness. The ribs consist of top and bottom reinforcement; the stirrups are produced with high tensile steel, in a continuous bent-length that provides a superior shear-key between the rib and cat in-situ topping. The slab designed for this residential development was 250mm thick and special panels were provided with galvanised boxes to ease the installation of electrical services. The precast ribs come in a standard width while the height varies according to the slab thickness. The slab designed for this residential development was 250mm thick. Beams-in-slabs were supplied to provide extra support for the creation of walls on the above floor; the shutters consist of multiple ribs without the use of panels. 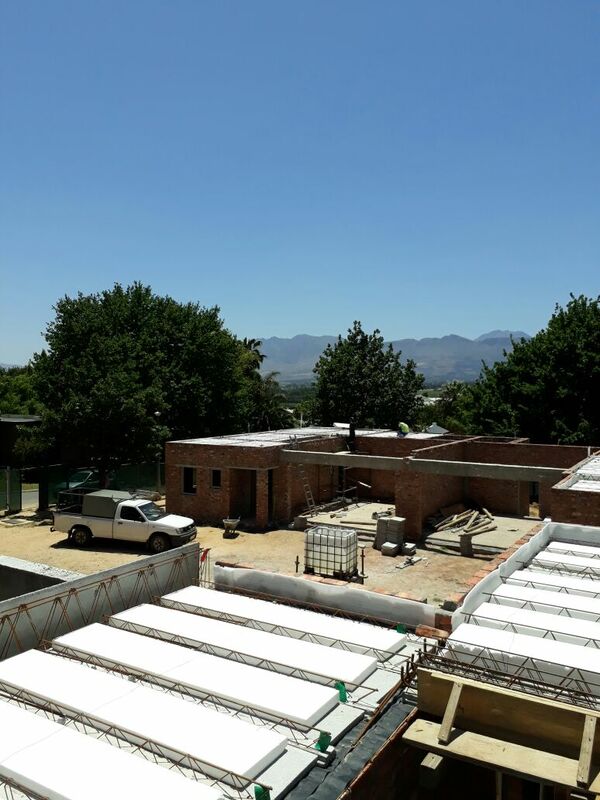 Moreover, Cobute supplied its edge ribs for the roof slab; these ribs are manufactured with steel fixed at the factory and do away with the use of timber shutters. These shutters are not only time saver, favouring speedy installation on site; they also contribute to saving costs connected to carpentry work and use of timber shutters, which would end up in the landfill. 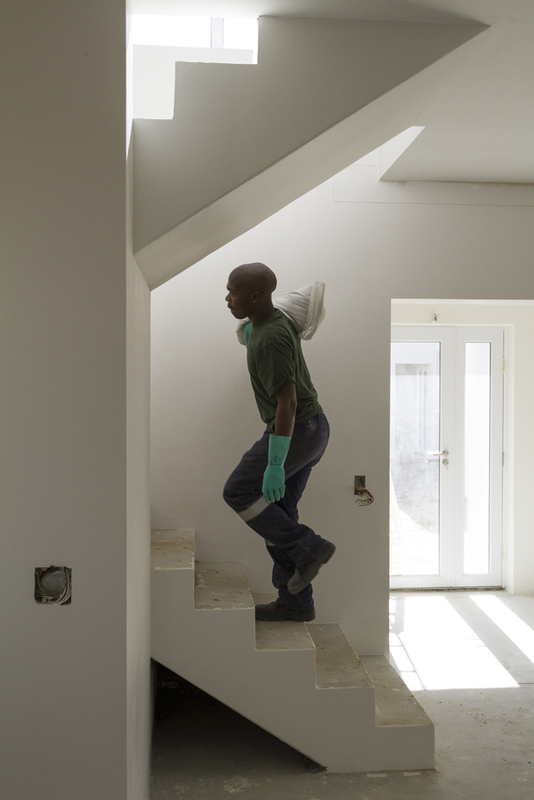 The Cobute staircase is modular and has no measurement constraints, satisfying any job specifications, many shapes (such as dog-leg, U and L shaped among many more) and landings, except for the round ones. As per the all the Cobute Precast slab and beam systems, only minimal shuttering is required. The basic component are precast girders (left and right elements), completed with precast ribs, interlocking panels that form the stair soffit as well as risers. 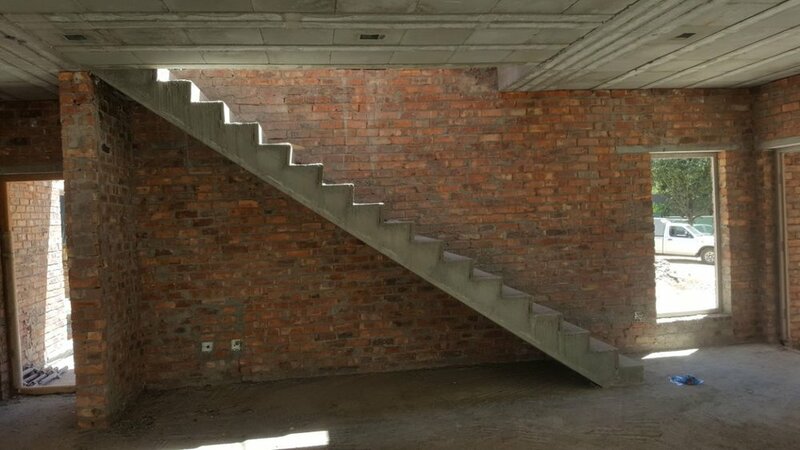 The result is a preast concrete shutter that forms the shell of the staircase, with reinforcement cast in as specified by the designing engineer. The integrated Cobute precast solutions are incredibly lightweight, allowing for easy manoeuvering; the advantages of on-site handling naturally mean lower operational and construction costs, whilst decreasing the health and safety risks associated with lifting heavier material.Both the developer and the installer were extremely pleased with the rapid installation turnaround given by the modular characteristic of the shutters as well as the monolithic connection the elements offer. Let's chat about your structure!